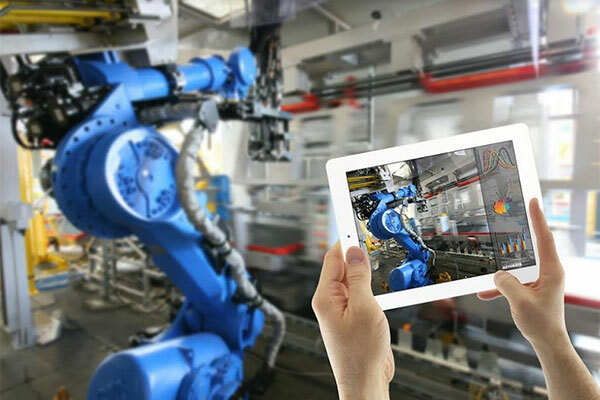 The GCC industrial and building automation market is projected to be worth $10.3 billion in 2023, said top exhibitors taking part in the upcoming inaugural SPS Automation Middle East conference and exhibition in Dubai, UAE. Germany-headquartered Indu-Sol, Japanese-based Mitsubishi Electric, and Cannon Automata from Italy, will be among more than 20 global solutions providers taking part in the event running on September 18 and 19 at Dubai’s Festival Arena. Indu-Sol, which ensures the proper function of industrial automation systems, serves direct requests from the Middle East, and works closely with PI (PROFIBUS and PROFINET International) to help regional companies set up manufacturing plants with the latest industrial and data communication technologies. Stefanie Schulze, who manages international sales and narketing at Indu-Sol, said by investing in the right technology, Middle East plants could become the most modern in the world. “In Germany, it took some years to optimise production plants and develop efficient concepts for industrial field buses like PROFIBUS (Process Field Bus), PROFINET (Process Field Net) or ASi,” she added. Mitsubishi Electric is one of six official event Launch Partners alongside German-based Beckhoff Automation, Bosch Rexroth, SICK, Pilz, and LAPP. Its main products and services in the Middle East comprise factory automation, air conditioning, elevators and escalators, power systems for heavy electrical machinery, and video wall display systems. Şevket Saraçoğlu, president of Mitsubishi Electric Turkey, said automation technologies in the UAE and Gulf Cooperation Council (GCC) have only recently established a presence, however the region is open to technological developments and is deeply interested in the subject. “There’s huge potential, mainly in the UAE and Saudi Arabia, and these two countries have set their focus towards the industrial automation industry,” said Saraçoğlu. Alessandro Mancini, Cannon Automata’s general manager, said the UAE could become the world-leader in Industry 4.0, which merges automation and data exchange in manufacturing technologies, combining cyber-physical systems, IoTand cloud computing.“Industrialisation has generated great opportunities in the UAE,” said Mancini. Mancini, whose Cannon Automata will showcase its full solutions portfolio at SPS Automation Middle East 2018, said the future of production in the UAE will involve advanced technologies, allowing the country to position itself as a high quality producer at low cost, and without the need for expensive machines, tools and time. SPS Automation Middle East 2018 is the region’s only dedicated automation industry event, bringing together professionals of the Automation, IoT and Artificial Intelligence industries under one roof, and providing a dedicated platform for the latest innovations and solutions steering the region toward a smarter and high tech future. “SPS Automation Middle East is the new focal point of the region’s fast evolving automation industry,” said Ahmed Pauwels, CEO of the two-day event’s organiser, Messe Frankfurt Middle East. “OEMs, end-users, distribution partners, system integrators, and industry specialists will be presented with the latest solutions from the biggest names in the automation business, while award-winning case studies on Robotic Process Automation and navigating IIoT in food packaging are a just couple of examples of lively presentations that comprise an engaging conference,” Pauwels added. The SPS Automation Middle East Conference will feature a high-powered panel of speakers providing insights into how the policies and regulations governing automation affect the future of industries. It will also provide a detailed look at how companies are adapting new technologies to enhance production efficiency.